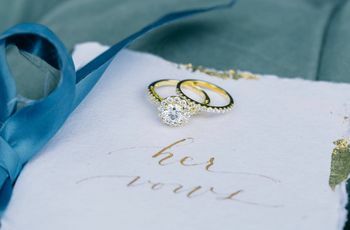 There are many steps to planning a great surprise proposal: finding your future spouse; deciding it’s time to get engaged; and selecting the perfect engagement ring. 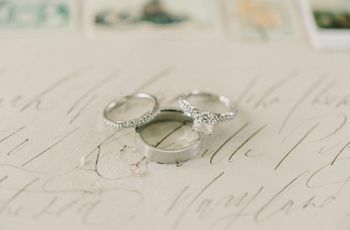 If you’re planning to propose somewhere far away, whether that’s a romantic vacation or at your parents’ home over the holidays, you might also need to plan how to travel with an engagement ring. Traveling with your new purchase requires you to not only think about how to keep the ring secure during your journey, but also how to keep it a secret from your partner. Don’t let TSA ruin your surprise! Follow these tips for how to travel with an engagement ring. Just like other large purchases, like a home or a car, it’s smart to do your research on jewelry insurance. Especially if you’re trying to figure out how to travel with an engagement ring, you’ll want to be clear on what potential calamities will be covered. Typically, jewelry insurance is relatively inexpensive and would cover a travel-related incident, like robbery or a hotel theft. Knowing this will go a long way to ensuring your piece of mind! Bring a copy of this policy with you, just in case, too. If you plan to travel by air, this might be the time to apply for TSA pre-check, Clear, or some similar program. These programs essentially allow low-risk travelers to forgo more invasive screening for more standard metal detectors. 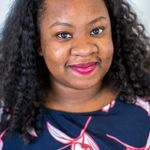 While bae might just think you’re treating them to an easier process, this could help you as you think about how to travel with an engagement ring, since you won’t have to remove anything from your carry-on bags to get them through security. Even if you do have pre-check, be mindful of your carry-on contents as you pack for your destination proposal. Placing the engagement ring in a bag without liquids, other metals, or electronics will help it get through security more smoothly. 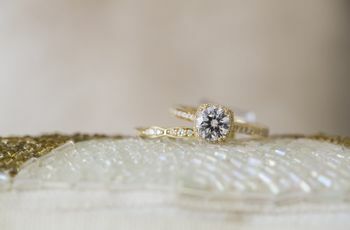 While we’re on packing, as you’re thinking about how to travel with an engagement ring, be sure you keep the ring secure by leaving it in the ring box with lots of cushion. If you want even more peace of mind that the ring isn’t in danger of being damaged in-flight, you can wrap the box in a thick sweater, scarf, or stuff it in a pair of folded socks. Whatever you do, don’t keep it in your pocket! This will most-definitely raise an alarm in the security line. Whether you’re jetting off to Paris or trekking up to Vancouver for the proposal, an international trip will mean you might need to declare the ring as you’re re-entering the country. Most rings will be fine leaving and coming back, but goods with a value over $10,000 have to be declared. 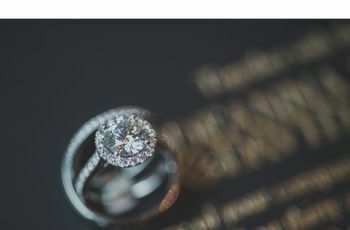 If your ring is worth more than this amount, be sure you have a dated copy of the insurance policy, appraisal, or receipt, to prove it was purchased in the United States and not subject to duties. Whether you’re staying at a hotel, Airbnb, or a relative’s home before you propose, make sure there’s a safe available to store the ring. Most hotels have one in all rooms, but call to confirm. A home, whether it’s a family member’s or you’re renting from someone else, probably won’t have one, so consider ordering one or picking one up during your next Target run. This is a crucial part of your how to travel with an engagement ring plan, since tourists can be major prey for thieves on the hunt. Also, this will guarantee that you always know exactly where it is when it’s time to show it off. Once the excitement of the proposal has subsided — we just know you’ll get the answer you want — don’t slack on ring protection. 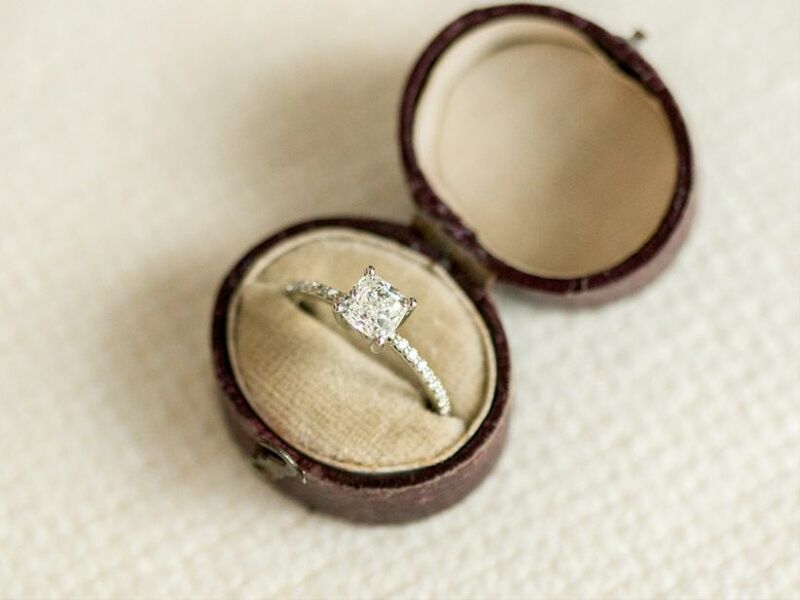 Talk to your new fiancé(e) about finding a secure place to store it when it needs to be removed. 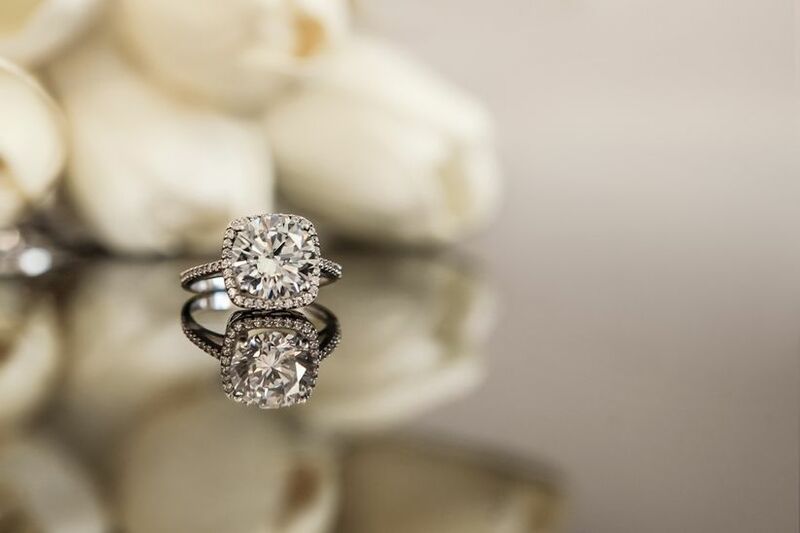 Schedule a visit with your jeweler to be sure it’s sized correctly, too, to lessen the chances it’ll accidentally fall off the ring finger.